Magnolia is a 32-year-old female who was recently asked to lead the congregants of a growing church in Memphis, TN. 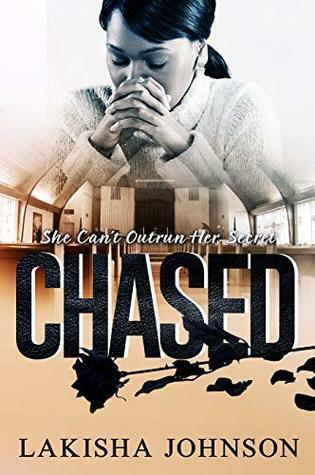 She thought she’d be happy but as soon as the words, “We want you to lead…” left the mouth of Senior Pastor, Lucas Carrington, fear set in. It’s isn’t fear of the position because Magnolia has been under the leadership of Pastor Warren for five years. It isn’t even fear of being the church’s first woman pastor. Her fear is the secret she’s carrying. Her secret … Magnolia is being chased. Magnolia is being chased by the demons of her past and it is the one thing she can’t get away from. No matter how much she prays and fasts or the many times she lays on the altar, she cannot outrun it. LaKisha wants readers of her books to step outside the box and read with imagination. She works hard to ensure her works are realistic and that readers can enjoy every second of them while getting a message God would have them receive. She will tell anyone that writing didn’t find her but it was etched within her when God created her. God is the reason she’s who she is and she will never deny it!